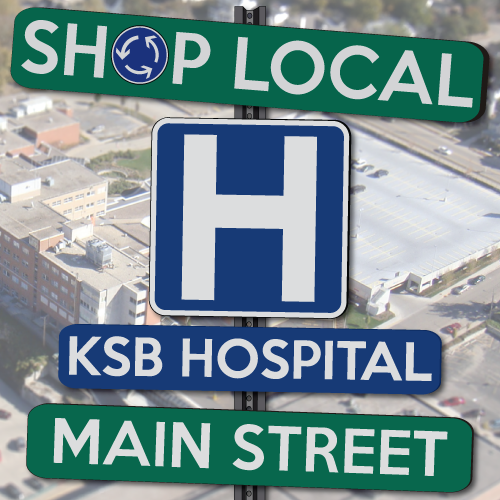 We often talk about the impact of KSB Hospital in our community. First and foremost, we provide high-quality medical services to restore, maintain, and enhance the health of our local population. But we also have a significant impact on the local economy. From the millions of dollars we invest in facilities, equipment, and supplies, to the payroll earned by more than one thousand employees, the economic impact of KSB Hospital is significant. When we talk about supporting our community, it means more than just sponsoring local events or making community donations. We also support our community by being a part of the “shop local” movement. Whenever possible, we buy goods and services from local businesses. We understand the dramatic impact of locally spent dollars. One study showed that for every $100 spent at a chain store, $43 remains in the community; but for every $100 spent at a community business, $68 stays in the local economy. When you make your next purchase, consider local businesses who can meet your needs. Dollars spent in our community help keep jobs, investment, infrastructure improvements, and community development alive. Check out the upcoming edition of The Connection for more on our support of the “shop local” movement.